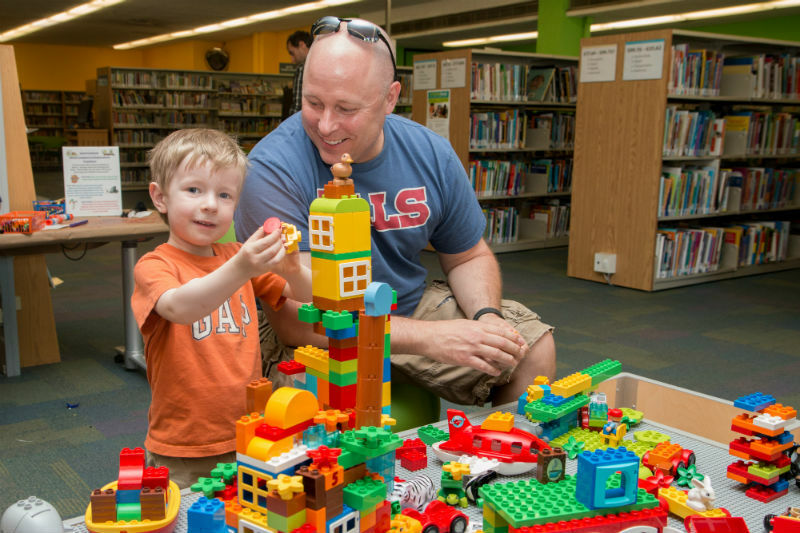 Learn more about the members of your Waterloo Public Library Board. Prior to joining Habitat for Humanity, Karen was a professor at Conestoga College’s Business School, teaching leadership and social innovation courses to tomorrow’s leaders. 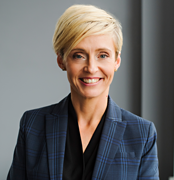 She was also the co-founder and principal of The Talent Business Solutions, a Waterloo start-up focused on delivering strategic management support to help businesses grow, compete, and embrace change. Her focus is always on developing the capacity of others – her students, a non-profit community organization, or an emerging high tech company. Karen has served as a board member for several local organizations including Waterloo North Hydro, St. Mary’s General Hospital, The Clay and Glass Gallery, and the Button Factory. Besides being the current Waterloo Public Library Board Chair, she is also a member of the board for the Local Health Integration Network, which coordinates health care in Waterloo Region and Wellington County. Jude is an associate director of communications at the University of Waterloo, with a background in project management, strategic communications, writing and social media. She has proudly adopted her home of Waterloo and has become a champion for the region as an excellent place to live, work and play. Jude has been on the library board since 2013 and enjoys her role as an advocate for one of the greatest places on earth: public libraries. She has also volunteered in leadership roles with Nutrition for Learning, Kitchener Public Library and Hildegard Marsden Nursery. Follow Jude on Twitter at @8Jude. Dawn joined the Waterloo community in 2010, having previously lived in Toronto, Vancouver and Ottawa, with a common theme being her passion for each city’s library system. An avid public library supporter, Dawn worked at Toronto Public Library before heading to Waterloo. As Director, Marketing and Brand at University of Waterloo, Dawn’s main area of focus is to help build the University’s global brand awareness and reputation. Prior experience includes leadership roles at Toronto Public Library, Tourism British Columbia, Canadian Museum of Civilization, Charlton + Company Design and as a marketing consultant. Dawn’s a Carleton University graduate in Communications/Journalism and is a champion of open, authentic and compassion-based engagement in all aspects of work and life. Living in Uptown Waterloo, Dawn and her partner Sue are actively involved in a number of organizations, including Knox Waterloo, and enjoy their ability to walk almost everywhere including to WPL’s Main Library. Other passions include travelling, with their most recent adventures in Ireland and Iceland. 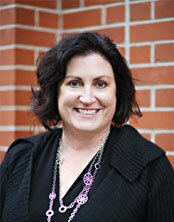 Raised in Woodstock, Ont., Diane enrolled in civil engineering at the University of Waterloo in 1986. As a licensed professional engineer, Diane worked for 23 years as an environmental engineer. Today she works full-time as a senior project engineer with a local firm. Diane has lived in Waterloo for over 20 years. She and her husband Peter have raised 2 children in the Colonial Acres area of Waterloo. Diane is a member of Waterloo City Council and was first elected in 2006. During this time she has been an unrelenting champion for building accessible communities by planning, funding and installing sidewalks, trails and dedicated active transportation infrastructure. She also served the Engineering profession for over 25 years on the Board of Professional Engineers Ontario as well as the Board of Engineers Canada. On these boards, she held many executive positions including President of Professional Engineers of Ontario in 2010-2011. Diane is a Fellow of Engineers Canada and the Canadian Academy of Engineers. Diane is an avid reader and looks forward to contributing on the Board to support the growth of the Library into the eastside of Waterloo. Rachel completed her bachelor’s degree in History and Peace and Conflict Studies at the University of Waterloo and earned a Masters degree in Library and Information Science from The University of Western Ontario. She worked in numerous administrative roles at Western and eventually landed her dream job as the International Exchange Advisor. In this role she guided and coordinated both the incoming and the outgoing undergraduate exchange students. Having lived and studied in China, Northern Ireland and Chad, Africa, Rachel knows well the value and benefits of international education and travel. In 2008, Rachel, her husband, and their two young boys spent 7 months living, working, and traveling in New Zealand. Now back in Waterloo, Rachel enjoys working from home part-time and volunteering in the community. She is a founding board member and secretary of Our Farm, a community farming project, and now a successful program of KW Rehabilitation Services. 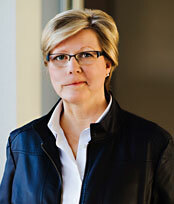 After 15 years leading community partnerships in municipal government and the non-profit sector, Kelly joined the University of Waterloo in May 2013 as Senior Director, Community Relations & Events. In her role, Kelly represents the University on a wide range of community initiatives, including the Region’s Immigration Partnership Council and the City of Waterloo’s Town & Gown Committee. In 2017, Kelly was appointed a Canada 150 Ambassador by the Mayor of the City of Waterloo. 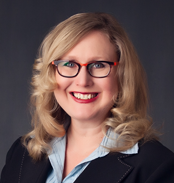 Kelly is the incoming Board chair of the Greater Kitchener Waterloo Chamber of Commerce, and has contributed to the boards of THEMUSEUM and the Kitchener Public Library. She has especially enjoyed been a volunteer grant reviewer with the Ontario Trillium Foundation and Lyle S. Hallman Foundation. 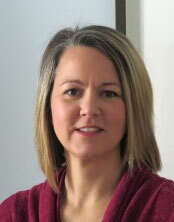 Kelly earned her Masters degree from the University of Guelph and recently began her PhD at the University of Waterloo. She and her son Ben live in Waterloo and can frequently be found at the Stork YMCA and John M. Harper branch of the Waterloo Public Library. 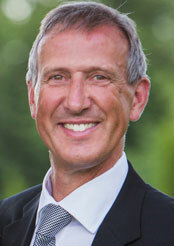 Frank Mensink retired from Conestoga College where he was the Executive Dean – School of Business and Hospitality. He has taught audit, tax and accounting courses at the University of Waterloo, Conestoga College and his professional association. Frank is also a fellow of the Chartered Professional Accountants of Ontario and currently serves on their Professional Conduct Committee. He completed his BMath and MBA at the University of Waterloo and Wilfrid Laurier University respectively. Frank has served as Chair and member on many boards including the Audit Committee for the City of Waterloo, the Certified General Accountants of Ontario and Community Support Connections – Meals on Wheels and More. He has completed the Director training program delivered by McMaster University and the Conference Board of Canada. Frank received the Waterloo Award in 2014 for enhancing quality of life in Waterloo. He has lived in Waterloo for over 45 years and is a regular user of the library. Sarah completed her bachelor’s degree in Contemporary Studies at Wilfrid Laurier University and earned a bachelor of education degree from Nipissing University, both in Brantford, Ontario. After graduating, Sarah worked in roles at post secondary institutions and also spent a few years teaching everything from JK to grade 12. Currently, Sarah is employed with the MP for Waterloo, and enjoys learning more about her adopted home of Waterloo everyday through this role. In her spare time, Sarah volunteers with Laurier's Waterloo Alumni Chapter and KW Oktoberfest, and plays soccer a few times a week. She enjoys reading, watching movies, exploring our Region, and spending time with her friends and family. John has lived in Kitchener-Waterloo for most of his life and attended both the University of Waterloo and Wilfred Laurier University, obtaining a Bachelor of Science degree with a minor in Business. After graduating, John joined his family’s transport and logistics business where he continues to work today. During his university days, John met his wife Jane. They married in 1992 and have three daughters and a West Highland White Terrier named Tucker. 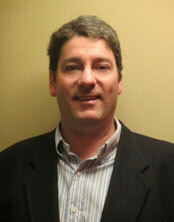 John is an avid hockey & soccer player and has also coached girls’ soccer and hockey. He volunteers regularly at his church and enjoys working in his three-car Mustang stable and, of course, visiting WPL. John has been a Library Board member since 2011 and is committed to raising WPL’s profile in the community. Beisan is very excited to be joining the Waterloo Public Library board-- as an avid reader, erstwhile writer and engaged community builder, Beisan has been hanging out in libraries since before it was cool. It's cool now though, kids, so spread the word. Beisan works at Communitech where her job is to connect all the great tech companies in Waterloo Region with volunteer and philanthropic opportunities in the community. She also serves as Vice-Chair of the Waterloo Region chapter of Equal Voice Canada, as a volunteer for the KW Multicultural Centre and was nominated by the Greater K-W Chamber of Commerce for Young Professional of the Year in 2019. Beisan has a BA in Creative Writing and Political Science, an MA in Communication and Culture and in 2018 ran for public office for her first time. In whatever spare time she gets, Beisan enjoys doing yoga, reading creative non-fiction and binge watching sitcoms.